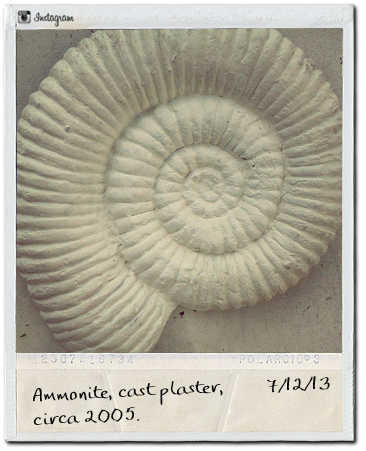 Just sharing this ammonite wall art I made back in 2005 (or earlier). It is made of cast plaster and I was trying out the material then. The model is made of clay, the disposable mold is also made of plaster. I made 2 or three different pieces and this is the only one that survived. I never tried it again. Working with plaster is kinda messy. Plaster dust everywhere!